“There are no accidents… there is only some purpose that we haven’t yet understood.” This famous quote by Deepak Chopra was just so apt for me this morning! As it happens, I recently watched the trailer of a 2011 documentary titled Diana Vreeland: The Eye Has to Travel. Little did I know that she is still recognized today as The Empress of Fashion. She is a style icon who forever changed the way we experience fashion, art and life much before Anna Wintour. She was the inspiration behind the character Maggie Prescot in the 1957 film Funny Face. She once said, “I adore that pink, it is the navy blue of India”. 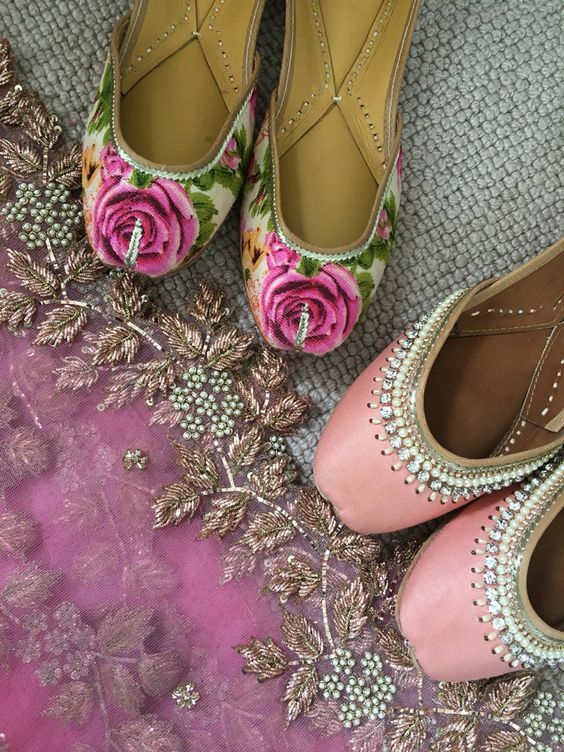 This, precisely is the reason I wanted to delve deeper and celebrate the traditional, the vibrant pinks we see around us – in our clothes, our jewellery and our homes. Hence, here I am, bringing to you the vibrance, the naughtiness, the glamour of this colour in all its different shades. Enjoy this short video before you read away to see what all we found to celebrate this colour, our ‘happy’. So ready to “think pink”? 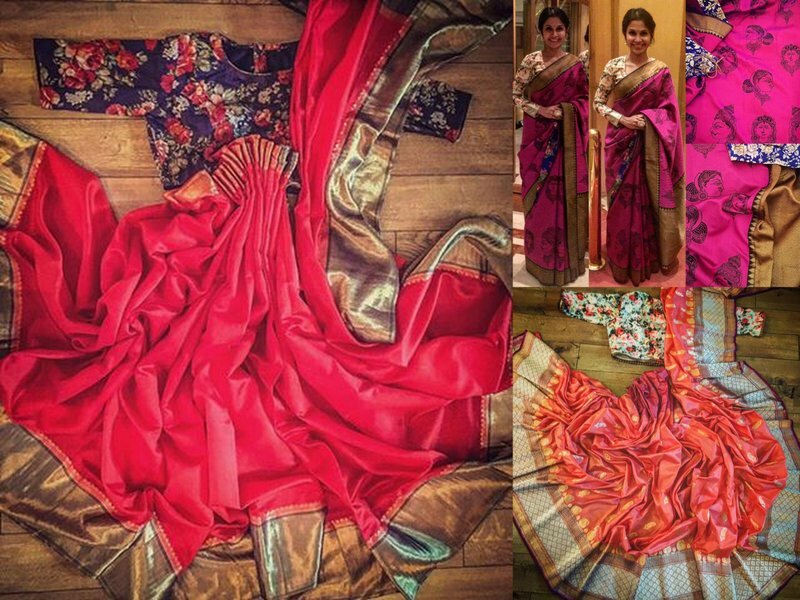 From the banarsi brocade to the vibrant bandhej and leheriyas to the ever so elegant kanjeevarams – one is sure to find one shade of this lovely colour that never fails to catch the eye. So, get ready for a visual treat in this magnificent hue. I asked a dear friend if she could name a couple of pink gemstones for me that she has used in her jewellery. 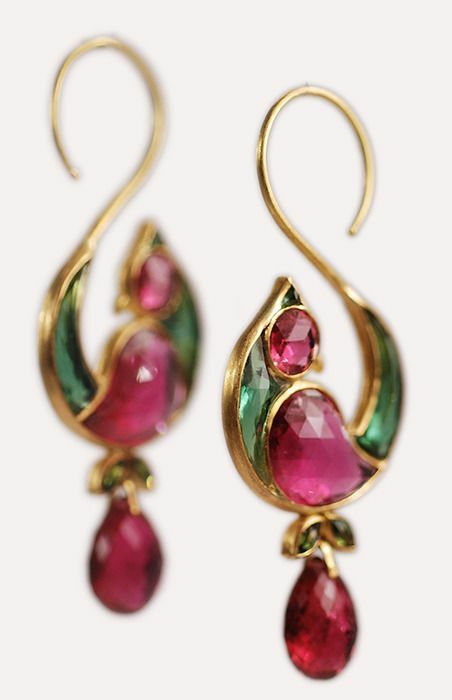 Her answer – “Pink tourmaline or pink ocean jasper or the pink spinel or hot pink topaz. There are many more”. 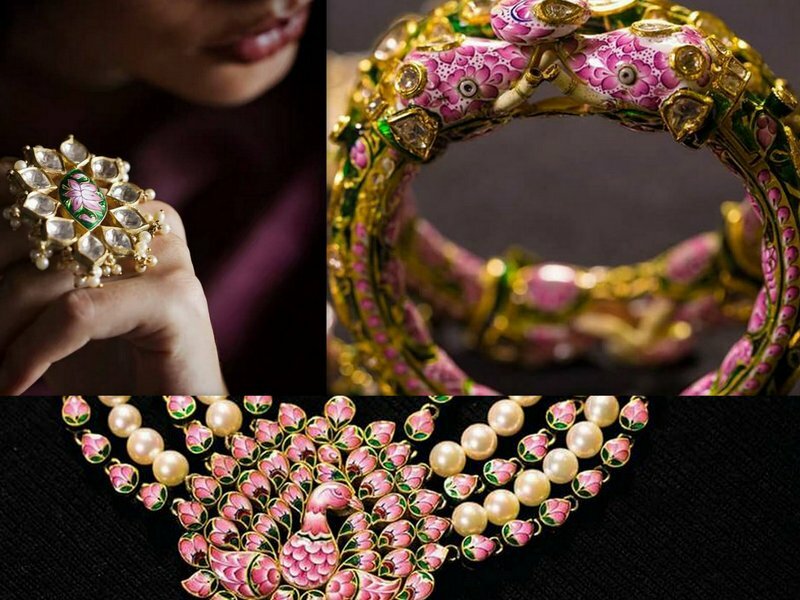 While I didn’t wish to know more at that point, I knew that there is more to pink than the ‘jadau’ (precious and semi-precious stone setting) jewellery. 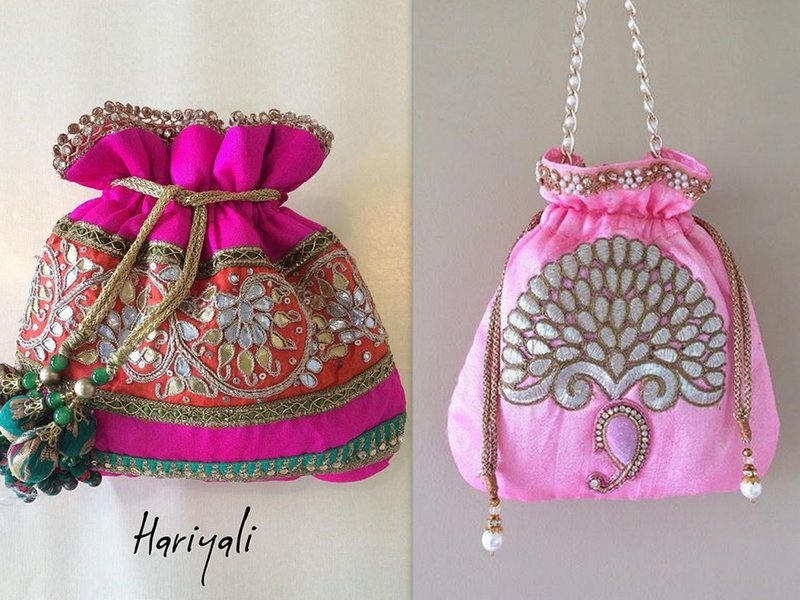 You can find them in the Gulaabi Meenakari of banaras, that is seeing a revival. 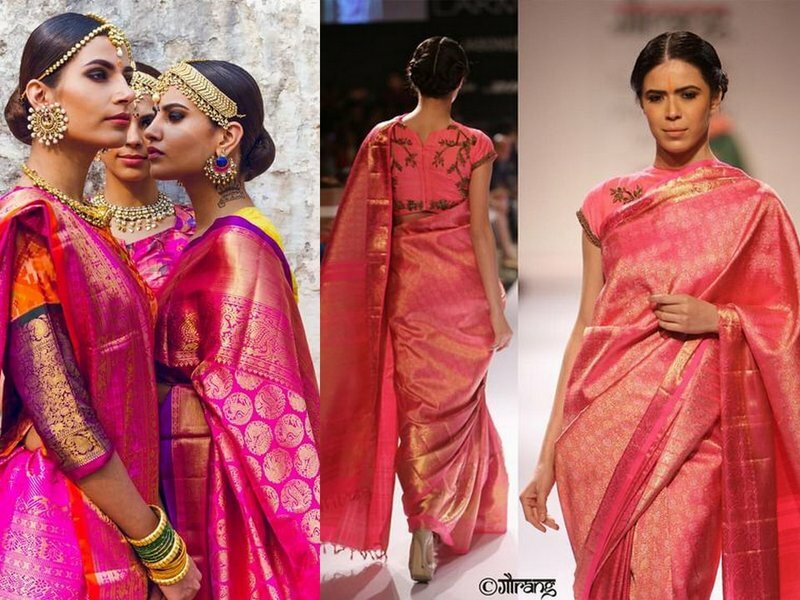 In the words of Raman Shankar Pandya, a Gulabi Meena revivalist, everything in Banaras is related to the spirit of pink. Right from one’s mood and health to intoxication and love, the subtle shades of pink are a constant source of inspiration. The tradition of gulabi meena is just one such expression. One of my favourite finds was terracotta jewellery. We wrote about that sometime back. 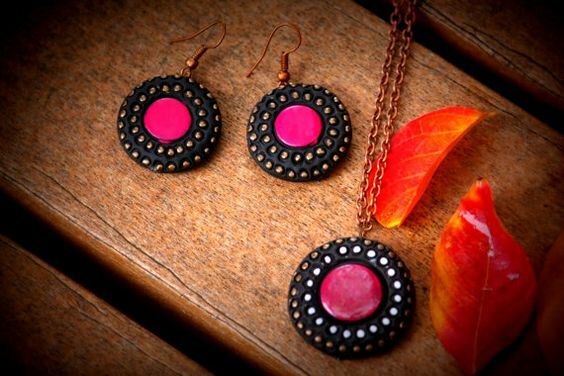 I chanced upon some pink terracotta jewellery on Etsy while ordering one for a friend. 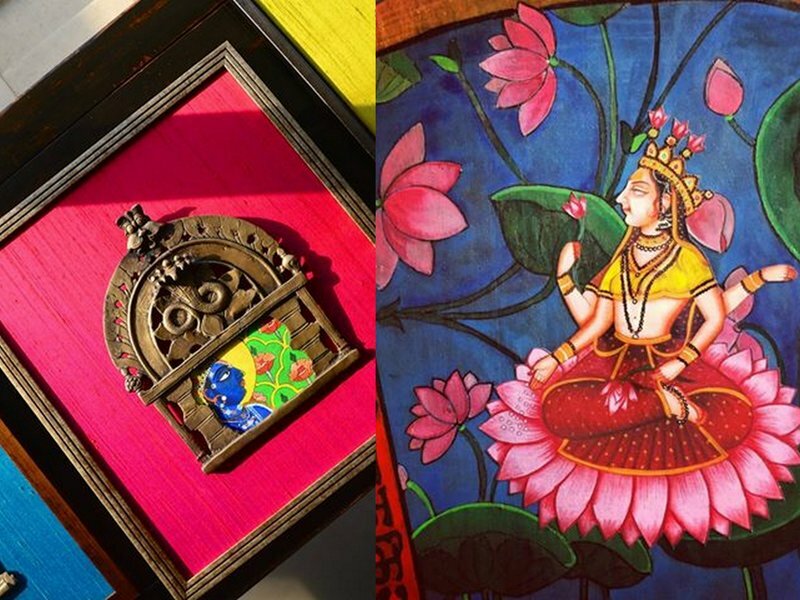 There are, of course, several artists in India who painstakingly work in this medium. Here’s what I found. There is a lot of ‘Jadau’ around but I must mention this beautiful set of earrings here, an example of some stunning ‘jadau’ work. We do love our pinks, don’t we? For me, colour breathes life and vitality to most things it touches. Pink, for one, has an uplifting energy that is difficult to ignore. 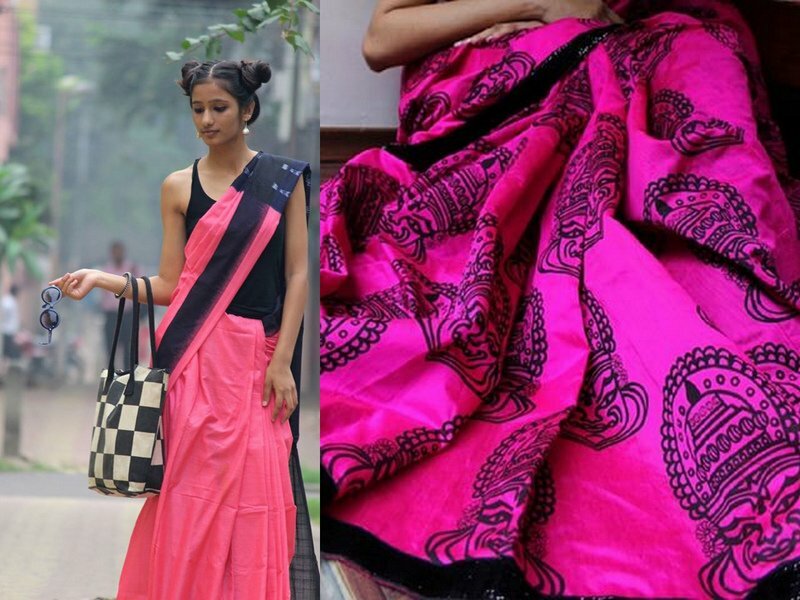 If you are still wondering what prompted Diana Vreeland to say “Pink is the navy blue of India”, read this interesting blogpost by Libby.